Many children, as they start primary school, take an interest in the written word. They might notice signs around them, books on shelves, to-do lists pinned to the fridge door, and of course post being delivered. 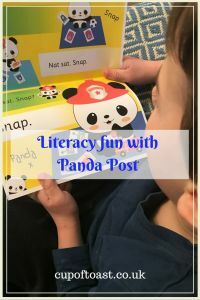 Panda Post have expertly linked this early interest in learning to blend and read simple words, with the excitement of receiving real post through the letterbox. 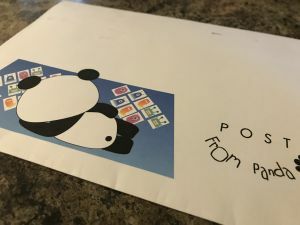 Aimed at children starting their reading journey, Panda Post sends weekly letters to your child. 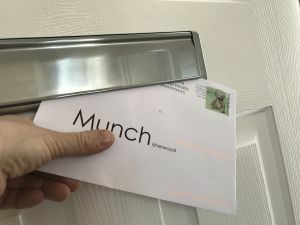 They kindly have been sending Munch post for nearly two months now. Munch’s level of reading is very good, but I was intrigued to see if these letters might increase his confidence and joy of reading. We have a wide variety of books for him to choose from at home, but I feel that sometimes a different presentation can encourage an enthusiasm for the subject, especially if it doesn’t feel as though you’re learning. As I hoped, he has taken to receiving these letters with palpable delight. 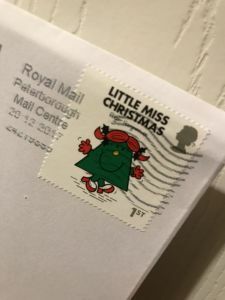 He looks forward to them arriving, carefully opens the envelope (after admiring the postage stamp and bright illustrations) and reads each letter fluently. I genuinely don’t think that he associates it with any type of formal learning. As far as he is concerned it is simply fun post that he receives every week. On one occasion there was an activity (with stickers!) enclosed which he loved completing. The text was aimed at parents, but again he read it without thinking, being eager to enjoy the post that he had received. I am delighted with his response to Panda Post. His confidence and self-belief with his reading skills are really being supported and encouraged by these letters. He looks forward to them arriving and keeps them all safely tucked into a presentation folder which you receive when you begin a subscription. 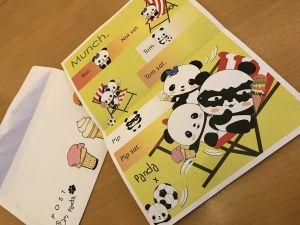 All letters complement the UK Phonics National Curriculum, and children do have the opportunity to write to Panda themselves if they would like to. That is one thing that Munch hasn’t done yet, although he is eager to get in contact with Panda! For further information, including subscription charges, please visit the Panda Post website here, or visit them on Facebook here. N.B. 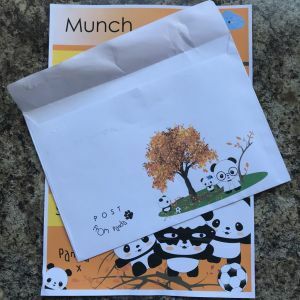 Munch has received an annual subscription in exchange for me writing this post. All thoughts are my own. For more information please visit my disclosure page. I love this idea. I need to do some research to see if they have it in the US too. I love getting mail. Email isn’t quite the same. Getting post is so much fun and I really don’t think it feels like forced learning at all. It’s even encouraging his younger brother to look at more text! I love this! I really wish it was international. I have a few children who could benefit greatly from something like this. This is a great idea, my daughter would love this although she is a bit older. I will check out the website to see if they offer something for slightly older children. It is a super idea. 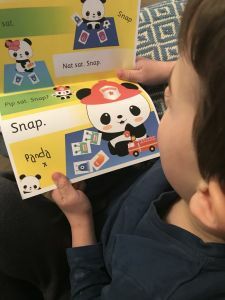 Although Munch’s level of reading is beyond the beginner stage these have helped a lot with his confidence and he loves receiving them each week! This sounds fantastic! What a brilliant way to encourage confidence with reading. My nieces and nephews would love this! It’s great. My little one looks forward to them arriving!